The Artists Quarter has generally been home to small ensembles-- trios, quartets, quintets, an occasional larger group as well as monthly gigs with the 10-piece Pete Whitman X-Tet. After all, the stage will only handle about 8 musicians with a piano, and the piano is not easily moved! The X-Tet always takes at least one row of tables out in front of the stage. Every now and then, a larger ensemble such as a McNally Smith band or the Minnesota Youth Jazz Band will squeeze in with 15+, moving the music even closer to the bar. Trumpeter and bandleader Adam Meckler is a good salesmen as well as outstanding musician. When the audience for his Adam Meckler Orchestra outgrew the confines of Jazz Central last spring, Adam convinced Kenny Horst that the AQ could handle a monthly big band, and the AMO became the regular gig on the last Tuesday of the month, drawing a good audience from the first performance. Each time out, Adam brought new tunes, augmenting the band with wife Jana's vocals at least once per set. The band is largely young up-and-comers, some still completing degrees at the U of M. Like any big band, there is some fluidity in membership depending on musician availability, but typically the "elders" are barely 40. Just a few months into their new home base, the Artists Quarter closed. But not before Adam and his crew proved modern big bands can bring in a crowd mid-week, and that a relatively small space like the AQ (which is huge compared to Jazz Central) can not only accommodate a big band, but can provide an exhilarating intimacy for listeners and musicians alike without blowing out ear drums. 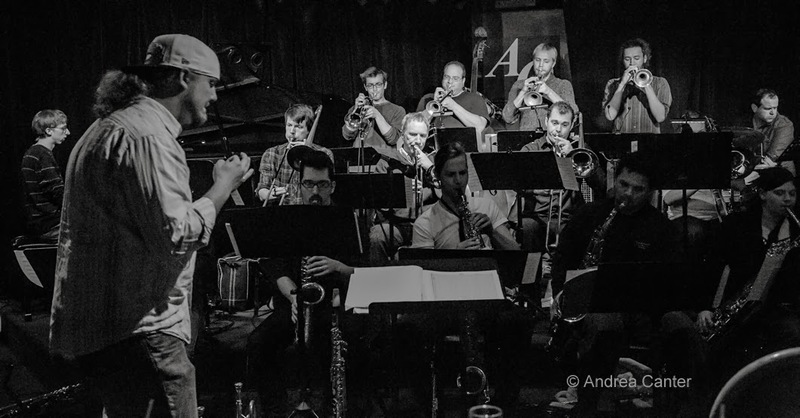 It was a short run, but the Adam Meckler Orchestra added to the AQ's legacy as a home to new music and new talents that will shape the future of jazz in the Twin Cities and beyond. And the AMO gave us one more reason to miss the AQ.